to provide a one-of-a-kind experience for choreographers to explore the craft of choreography and for dancers to study in a variety of dance styles and with diverse choreographers. The RDA National Choreography Intensive (NCI) is a multifaceted program, providing dancers, emerging choreographers, and seasoned choreographers the unparalleled opportunity to work, study, and create under the guidance of nationally recognized professionals in the fields of dance and music. The 58th NCI will take place at Sam Houston State University’s state-of-the-art Gaertner Performing Arts Center. Tracing its roots back to 1961, the NCI has been guided by luminaries from the professional dance world. For dancers, daily master classes enrich training in many genres of dance while afternoon work with new choreographers provides depth and understanding for nightly performances. For choreographers, daily exploration of choreography concepts with NCI’s Directors of Choreography and Music followed by daily choreography sessions filled with dancers, space, and time enables choreographers to hone in on their craft and develop their choreographic voice. Train with NCI’s world class faculty in a focused and inspired environment. Experience the 2019 National Choreography Intensive July 14 – 24 at Sam Houston State University! Check out NCI on YouTube! The NCI officially begins with an audition/placement class at 4:00pm. The final choreography showing will begin at 3:00pm and is open to everyone! Tickets are $10 per guest. Dinner follows and is an additional $30 per guest. In order to accommodate everyone’s travel schedules, please arrange your departure travel in the morning or early afternoon. RDA Dancers: Ready to sign up for an amazing experience? Dancers must be at least 13 years of age and studying dance at an intermediate to advanced level. RDA dancers: Your membership in RDA makes you automatically eligible for the NCI! Please REGISTER anytime before June 15, 2019. Select scholarships are available at each Regional Festival, so we encourage you to attend the NCI scholarship audition class. NON-RDA dancers: All March application deadlines have passed. If you are interested in attending NCI, please contact Erika Davis for information about program availability. Experience daily master classes, work with a new choreographer each afternoon, and perform new pieces of choreography each evening! Learn more about being a Dancer at NCI here. Delve into choreography workshops and create new works in addition to participating in NCI as a dancer! Space is limited…learn more about being a Dancer/Choreographer at NCI here. 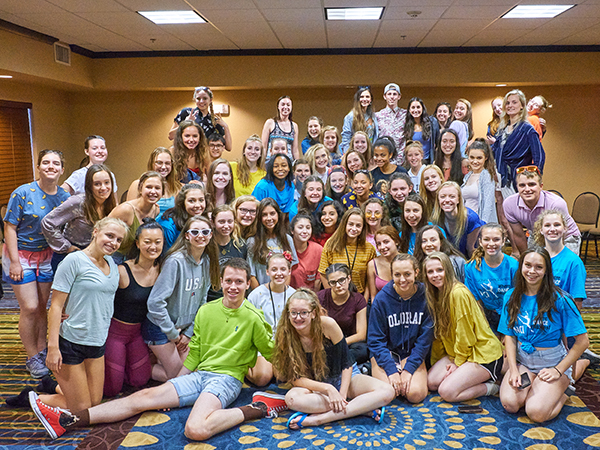 The 2019 NCI Dancer/Choreographer Track is currently full. Dress code for Dancers: Pink tights and a solid color leotard for ballet classes (females) and black tights with solid color t-shirt (males). For other dance genres and afternoon choreography sessions, black tights, leggings, or shorts are also acceptable. Socks may be permissible, left up to the discretion of the teacher or choreographer. For evening showings, choreographers may ask for a certain color of leotard, tights, or socks. Please bring options! 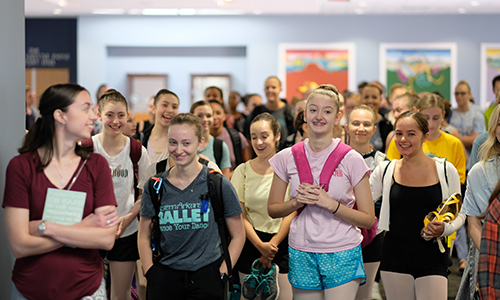 While packing for the NCI, be sure to include ballet slippers, jazz shoes, pointe shoes, and black socks along with an assortment of colored leotards, skirts, etc. Experience daily choreography workshops with NCI’s world-class Directors of Choreography and Music to gain choreographic skills, perspective, and crucial insights. Create new works to be presented in evening showcases with constructive feedback given in a supportive setting. Explore, create, and grow in NCI’s innovative and nurturing working environment. All March application deadlines have passed, but if you are interested in learning more about being a Choreographer at NCI, please contact Erika Davis. Applications will be reviewed and choreographers will be notified on a rolling basis. All choreographers are chosen by the Director of Choreography. For choreographers at least 16 years of age or older who are looking to experiment with choreography and music choices and develop their unique choreographic voice. Emerging Choreographers receive space, time, and dancers to set new pieces of choreography each day. Learn more about being an Emerging Choreographer at NCI here. For more established choreographers who wish to advance their craft and refine their voice in an innovative, collaborative environment. Project Tier choreographers receive space, time, and dancers to created a single, more fully-developed work during the NCI. Learn more about being a Project Tier Choreographer at NCI here. Notes for Choreographers: Please bring notebooks, pencils, and an iPod, iPad, or laptop for storing daily music selections. Also bring with you a storage device (USB Zip drive, SD card, or CF card) at least 8GB, for storing video footage from all showings. Please make sure your name is on your devices. 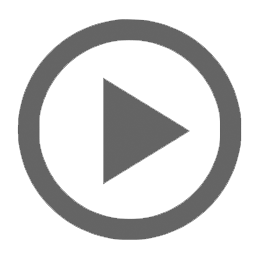 We will transfer music selections to you each day for your assignments, as well as provide you with all video footage of your pieces. 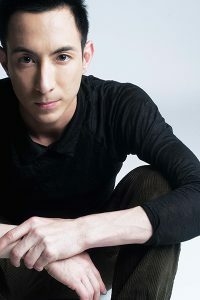 Regional Dance America presents Peter Chu as the Director of Choreography and Jake Kelberman as the Director of Music for the 2019 NCI. These amazing professionals demonstrate vibrant energy in their work and are excited to bring that energy to the NCI choreographers and dancers. Born in the Bronx, NY, & raised in Cocoa Beach, Florida, Peter began his training as a competitive gymnast, later nurturing his artistry at Dussich Dance Studio. Upon graduation from The Juilliard School, he performed with BJM Danse, EZdanza, Aszure Barton & Artists, Kidd Pivot, & in Celine Dion’s Vegas spectacular, A New Day. In 2008, Peter formed a Las Vegas project based dance company, chuthis., which showcases the work of Chu & his collaborators. Chu has created works for Hubbard Street Dance Chicago, Hubbard Street 2, Charlotte Ballet, Charlotte Ballet II, Orlando Ballet Theatre, Giordano Dance Chicago, SYTYCD, Naomi Stikeman’s Çaturn, Houston MET Dance, New Dialect, SALT Contemporary Dance, NDT Summer Intensive, Springboard Danse Montreal, & The Juilliard School, among others. This season, Chu looks forward to premiering new creations for Staatstheater Augsburg, Germany, and Hubbard Street Professional Program, in addition to a creation for his own company, chuthis. Read Peter Chu’s full bio HERE. 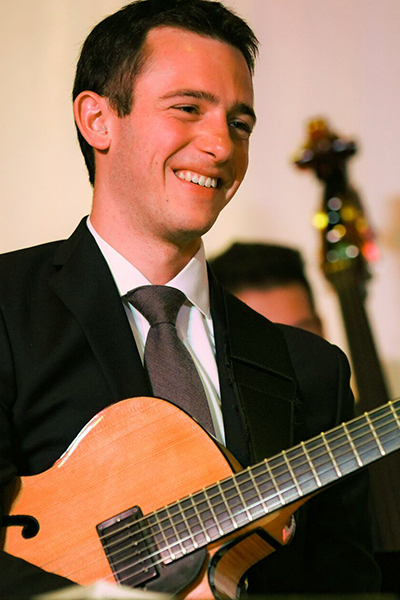 Jake Kelberman is a guitarist, composer, and educator from Philadelphia who has performed at venues around the world including Dizzy’s Club Coca Cola at Lincoln Center in New York, The Kimmel Center in Philadelphia, and the Bimhuis in Amsterdam, Netherlands. A frequent collaborator with dancers, he performs for swing and blues dances with groups such as Chelsea Reed and the Fair Weather Five and Michael Gamble and the Rhythm Serenaders and has collaborated with choreographer Peter Chu, composing new music for works which have been performed by The Juilliard School and the Charlotte Ballet. Jake has worked as a teaching artist with universities and organizations including the EMESP Tom Jobim School in Sao Paolo, Brazil, The National Youth Orchestra of Belize, West Virginia Wesleyan University, the Philadelphia Community Arts Network, and the West Park Cultural Center in Philadelphia. Read Jake Kelberman’s full bio HERE. 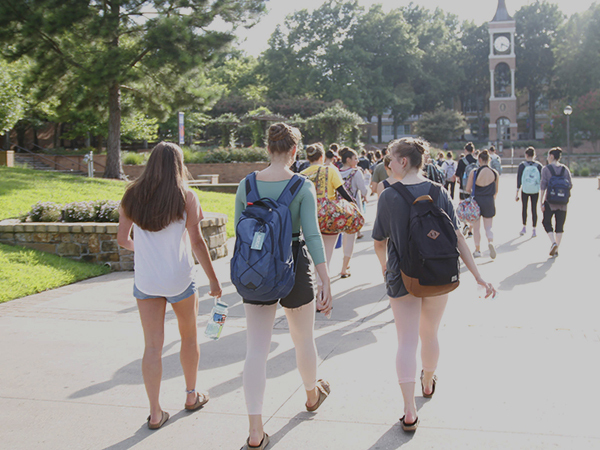 Tuition prices include all classes, meals, and housing for the duration of the intensive. *All RDA Directors are welcome to observe NCI classes and performers free of charge. On the last day of NCI, the dancers and choreographers will present a choreography showing at 3:00pm. It is open to family, friends, teachers, and the public, and tickets are $10 per guest. Immediately following the conclusion of the show, dancers and choreographers are invited to enjoy a farewell banquet. Guests are welcome at a price of $30 per guest. We must provide a final count for dinner by Wednesday, July 17, so please include the number of guests who will attend the final showing and dinner on your dancer’s registration. Please inform your dancer of guests attending so we may include you. *If NCI participant cannot arrive by 2:00pm on July 14, they may fly in on July 13 and pay an additional charge of $40.00 to stay overnight on the night of the 13th before NCI officially begins. The daily schedule at NCI is rigorous, demanding, and wondrously innovative. Dancers challenge themselves with new technique in class and fresh choreography challenges as they build new works to perform each evening. Choreographers learn to look at their work from a different perspective, experiment, and reach for new limits. Working through the challenges each day brings, everyone grows, bonds, and excels in their own way. RDA is thrilled to present the National Choreography Intensive at Sam Houston State University for a third consecutive summer. Sam Houston State University (SHSU) was founded in 1879 and is the third oldest public institution of higher learning in the State of Texas. It is located approximately 50 minutes north of downtown Houston, in Huntsville, Texas. 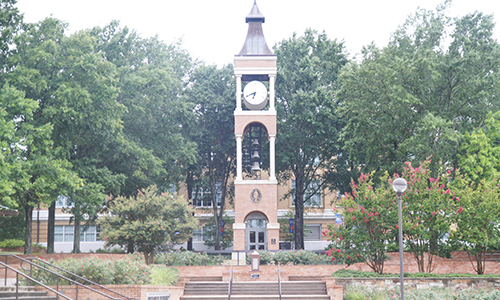 SHSU offers over 80 bachelor’s degree programs, more than 50 master’s degree programs, and six doctoral programs, including nationally-recognized programs in Business, Fine Arts, Education, Mathematics and Criminal Justice. Opened in fall 2010, the Gaertner Performing Arts Center is a showcase for artistic talent and creative works, serving the community and the region. It serves as a world-class academic facility for students in The College of Fine Arts & Mass Communication at SHSU. All of the National Choreography Intensive classes, workshops, and choreography showcases will take place in the Gaertner Performing Arts Center. Piney Woods Hall is SHSU’s newest housing facility. The complex features double occupancy rooms with an in-room microwave, refrigerator and suite baths with enhanced privacy. The building also has a Community Learning Center. Washing and dryer machines are available in the dormitories for a fee. Participants may want to wash their dancewear, so bring soap! We are looking forward to relaxing and recharging each night in the Piney Woods Hall while at NCI. These guidelines are designed to provide an atmosphere that allows maximum benefit from the National Choreography Intensive. All students are expected to be well-behaved, courteous, and honest and to abide by these rules and the Laws of the State the NCI is being held in, and federal law regarding intoxicants, narcotics and drugs. Failure to do so will result in a loss of privileges, notification to parents and/or immediate dismissal with forfeiture of all fees. In addition, if any laws are broken, the appropriate authorities will be contacted. All individuals are expected to respect the direction of the directors and the chaperones of the Intensive. No smoking, chewing gum or use of bad language is allowed in or near the NCI studios. Students are not to touch the belongings of another student without that student’s permission. Burning of candles is not permitted at any time in any room. No student may leave the Holiday Inn or the NCI studios by himself or herself and must check in with a chaperone both prior to leaving and immediately upon return. Students are expected to attend all assigned classes and rehearsals. Students are not to enter another student’s room without permission. Students must abide by the curfew that is set. Students who cause excessive difficulties or endanger the health, safety, or welfare of themselves or others will be dismissed from the program immediately with forfeiture of all fees. Any student who is dismissed for misconduct and sent home shall be prohibited from attending all future NCI programs. Family members and friends are welcome to visit with dancers during their daily midday break. If a dancer intends to leave campus with a family member or friend, a parent must provide written permission to Erika Davis in advance. Observer passes may be purchased by family or friends for $40 per day to watch classes and attend meals with the NCI attendees throughout the conference. Arrival by Plane: Please make all airline reservations into and out of the George Bush Intercontinental Airport (IAH). All flights to NCI should be booked to land at IAH before 2:00pm on Sunday, July 14th. If you cannot arrive by 2:00pm on July 14, you may fly in on July 13 and pay an additional charge of $40.00 to stay overnight on the night of the 13th. NCI officially begins with an orientation and audition class at 4:00pm on Sunday, July 24th. NOTE: If you are flying as an unaccompanied minor, you must notify RDA before you travel so we can plan for your arrival and departure. Arrival by Car: Please arrive to the Piney Woods Hall at Sam Houston State University by mid-afternoon on July 14th to check into your room and get settled before NCI begins at 4:00pm on Sunday the 14th. Daily Travel: RDA will provide any necessary transportation throughout the NCI.